When you show up at a cocktail party, do you immediately run in and shout all sorts of amazing things about yourself? I hope the answer is no! Think of your social media networking like a cocktail party. To get better results, remember that there are people on the other end of all those social media accounts. Engage in genuine conversations and interactions instead of barging in and promoting yourself. 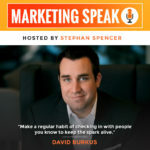 David Burkus, a bestselling author and sought-after speaker, joins me in this episode to explore how to get better results from your social networking. His newest book, Friend of a Friend, offers readers a fresh perspective on how to grow their networks and build key connections. If you want to learn scientifically based tips, tools, and techniques for tapping into the power of your network, tune in to this episode! There’s a difference between having authority and leveraging your authority. If you don’t have authority, there’s no point in trying to leverage it yet; you need to spend some time building it first. If you already have authority, it’s important to leverage it in effective, credible ways that don’t undermine the way your audience perceives you. Whether you’re still building authority or are ready to leverage it, authoring a book can be an incredibly powerful strategy. 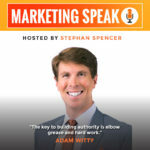 Adam Witty joins me today for an in-depth discussion on authority marketing and the role that writing and publishing a book can play. We’ll discuss the seven pillars of authority marketing, as well as how to do market research to ensure your book will meet the needs of your audience. 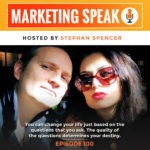 Welcome to the 100th episode of Marketing Speak. For this 100th episode, my amazing wife, Orion Talmay will be interviewing me. This is a very special episode as I answer some unexpected questions from Orion, but also share some highlights and insights from the past 100 episodes. Orion accuses me of not bragging about myself enough, fortunately, I have her to do that for me. Today, we talk about marketing and SEO along with how I have worked with and influenced major companies from Chanel to Zappos. We also talk about how I am passionate and knowledgeable about self-development, which you can learn all about on my other podcast, The Optimized Geek. 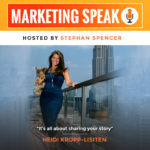 In our conversation today, I reflect on the last hundred episodes of Marketing Speak and share some amazing tips and techniques that I have learned over the years. Let’s be honest: we’d all like to have more publicity and a bigger audience. Reaching this goal may seem difficult, but it all boils down to workshopping the answers to three relatively simple questions: who cares, so what, and finally, why me? If you aren’t clear on how to answer these questions, or know why they’re so significant, tune into this episode. Heidi Krupp-Lisiten is a world-recognized expert on publicity and public relations who sees herself as a strategist rather than a publicist. In our conversation today, we’ll workshop the aforementioned three questions, talk about the importance of taglines, and get a glimpse behind the scenes of publicity and strategizing. 65% of Americans are likely to leave an online review about their experience with a business. With two-thirds of customers and clients potentially ready to review your business, you can no longer get by with assuming a customer with a not-so-great experience won’t leave a review for the whole world to see. Instead, you need to work on the assumption that you will get a review, and seek to provide exceptional service and value to stay on top of your online reputation. 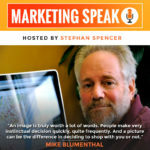 Here to explain this and much more about online reputation creation and management is Mike Blumenthal, an expert both in these topics and in the field of local search. He’s the co-founder of GetFiveStars and Local U. In our conversation today, he uses his expertise to offer a huge amount of actionable advice. If you have a business with any sort of an online presence, you need to listen to this episode!